Individuals qualifying for programs under AB 2364 are considered exempt, non-residential special “part time” students (other than those with non-immigrant status, such as those present in the United States on a “B Visitor Visa”) from the non-resident tuition fee and expressly allows the District to report their attendance as resident FTES for apportionment purposes. You must drop classes by the deadline in order to receive a refund. Refunds of less than $10 will remain on your account as a credit. All refunds are made by check and will be mailed to the student, regardless of the original method of payment. Be sure your address is correct in your MyGAV account to ensure prompt delivery. For more information and help setting up your budget, see our budget page. 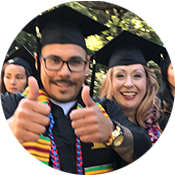 As required by California law, exemption from payment of non-resident fees for eligible nonimmigrant students: you must have attended a California high school for three full years or equivalent and have graduated from a California high school or have received the equivalent of a California diploma (GED, CHESPE). The exemption does not grant residency status and you may not be eligible for federal financial aid. 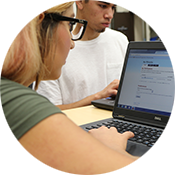 You are eligible for state and local aid including BOG, EOPS, CalGrants, and scholarships. You must sign an affidavit affirming that you have filed or will file an application with INS to legalize your immigration status as soon as you are eligible to do so. See Financial Aid for more information. It is super important to pay all of your fees by the deadline or you will be dropped from ALL of your classes; don't let this happen to you. See Dates and Deadlines. Totals include $46 per unit enrollment fee, additional $233 Summer per unit for non-residents ($252 Fall), $16 Summer Health Fee ($19 Fall), $1 per unit Campus Center Use Fee (maximum of $5), $6 Student ID/Discount Card, and $1 Student Representation Fee. COS 200 $739.53 kit (approx. )*+ $100 Additional supplies. Payable at Cashier (Student Accounts) by the first day of instruction. * Students must purchase supplies. Does not include books and classroom materials.